I can’t run without my iPod. Well, I can and do. At least on some short runs. But for distance, I either listen to podcasts or a playlist of upbeat music. I recently got this adorable iPod Shuffle (thanks, Santa!) and have been loading it up with podcasts, but until I figure out how to transfer my marathon playlists from my iPod Classic to the Shuffle, I’m using this big guy (which has something like 10,000 tunes on it). If you don’t already know, once upon a time I was a DJ. That’s what I wanted to be when I grew up. After spinning tunes at and also managing my college radio station, I worked in radio for a bit after I graduated. That is until the travel bug hit and I realized you couldn’t make any money in radio. Well at least not enough to travel! So, with my roots in music, I enthusiastically added songs to my running playlist throughout 2015 in preparation for the Honolulu Marathon (which I successfully completed in December). When it came time to finalize the music, I realized I was a bit short of tunes and didn’t have enough to get me through the time I’d be running: at least 4:30. So I needed to load up on more songs. I asked my Facebook community to make some recommendations. You all came up with some fantastic suggestions. If I didn’t already have the tune, I listened to your ideas and added anything I thought would be a good pace for the marathon. Loaded with enough tunes to last the duration of my marathon time, I couldn’t just have the music on shuffle. Like a good DJ, I had to plan it out song by song, estimating as best I could when I would want which songs during the marathon. Marathon training side note – When you’re training for a marathon, you build up your miles during the months preceding the race. Then a couple of weeks out, you start to taper your miles, running less per week. This gives your body the chance to recover from your long runs and prepare it for 26.2 miles. I used this philosophy with my playlist. In the weeks leading up to the marathon, I tapered my music and stopped listening to it on my runs. I figured that way it would all seem fresh to me and I’d be excited to hear music after a hiatus that lasted a couple of weeks. I think it worked! I was pretty stoked to be rocking out again. 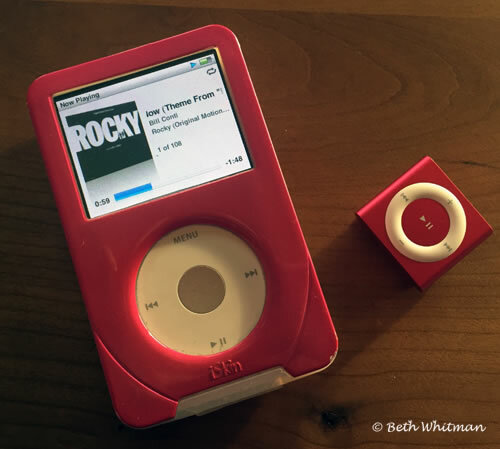 Gonna Fly Now – Rocky Theme – Thanks to Matt Gibson for this recommendation. It’s so obvious but it was never on my playlist. Gonna Fly Now – Yes, I had this play twice. I wanted to be super pumped up from the very start. Firework – Katy Perry – I chose this becauseÂ the Honolulu Marathon begins with fireworks. Even though the song started after the fireworks were over, I still loved it. Waterloo – Abba – What is there to say about this awesome song? It’s great for running. Lisa suggested this on that Facebook discussion. She was spot on. Us Amazonians – Kirsty MacColl – this is definitely an empowering female-centric song. I’m always pumped up when it comes up in my usual rotation. Dreaming – Blondie – Another strong female. Karn Evil 9: 1st Impression–Part 2 – Emerson, Lake and Palmer – I grew up listening to this song. When I was much younger, I used to do gymnastics and when I couldn’t sleep at night, I would play this song in my head and do my own floor routine until I fell asleep. Dog Days are Over – Florence + The Machine – More strong female energy that helped get me pumped up. Believe – Cher – enough said. I Choose You – Sara Bareilles – It’s really difficult for me to listen to this song and not sing along to it. Truth be told, it’s the perfect song when I’m driving in the car. Alone. I can crank this up and it makes me so happy. I Will Wait – Mumford & Sons – These guys are awesome and a nice change to all the female voices I’ve got on the list. 50 Ways to Say Goodbye – Train – See above. The Edge of Glory – Lady Gaga – More girl power. Like WAY more girl power. Although I’m not sure I was on the edge of glory at this point in the marathon. Hey Ya! – Outkast – This has been on my playlist for a long time but I never tire of hearing it. Brave – Sara Bareilles – Like I Choose You, this is another one I have a difficult time listening to and not singing along. Though the tempo is a bit slow for me, it’s still powerful. I’m definitely a SB fan so this was on my list, but Kattina recommend this. All About That Bass – Meghan Trainor – Just fun. Plain old fun. Happy – Pharrell Williams – I don’t need to tell you why this is on the list. I figured I’d probably need it at this point (maybe 1.5 hours in?). Blurred Lines – Robin Thicke – Another fun dance tune. Mr. Blue Sky – Electric Light Orchestra – I very distinctly remember cruising past a lot of people on an uphill portion of the marathon when this song came on. It really buzzed me. It was already on my list but Campbell suggested ELO. Totally with ya, man. Take On Me – a-ha – Another one of those tunes that’s been on my playlist for a really long time but I don’t tire of it and am always tempted to sing along. Only the Good Die Young – Billy Joel – Big Billy Joel fan I am. This is probably the best Billy Joel song for running but I’ll need to add more for the next marathon (Tokyo, February 28). Biggi, you were totally right, more Billy Joel is definitely in order! Booty – Jennifer Lopez – Definitely shaking the booty on the run. Burnin’ Up – Jessie J – Temps in Honolulu probably were high 70’s at this point so it was apropos. One Way or Another – Blondie – More Blondie. People Like Us – Kelly Clarkson – This song always gives me a little boost. I don’t think Kelly Clarkson is anything like “us” but still, it’s an inspirational tune. Crazy Love – Mara – A little Latino boogie woogie. Wake Me Up – Avicil – Like Mumford & Sons, it was great to mix in some male voices. Objection – Shakira – More international influence with this tango-inspired song. Sleepwalk – Ultravox – Remember this one? Idle Delilah – Azealia Banks – probably the one song so far that I would remove from this list. Call It Whatever – Bella Thorne – Total bumblegum pop. Turn to Stone – Electric Light Orchestra – again, so powerful these guys. Crazy Little Thing Called Love – Michael Buble – Another one I might remove for Tokyo. Hello – Karmin – Great hard-hitting beat, perfect for running. Lips Are Movin – Meghan Trainor – Too fun. One of those songs I have to move to. Story of My Life – One Direction – I can’t believe I have a One Direction song on my list but, yeah, this one’s pretty good for running. Love Song – Sara Bareilles – GIRL POWER! Never Gonna Leave Me – Sia – Wow, my list is good. 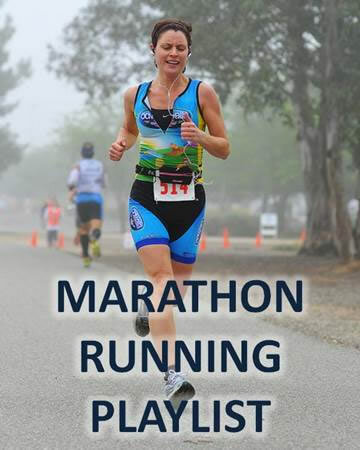 Locked Out of Heaven – Bruno Mars – Maybe not one of the stronger songs on the list but it is marathon-worthy. Whip It – Devo – Love Devo but this is another one I might remove for Tokyo. I Feel It All – Feist – I do love Feist. She’s not really conducive to marathons but this one made the cut despite the slow start. Tightrope – Janelle Monae – She so rocks. That’s Not My Name – The Ting Tings – Do you know this song? I love it. Diane Young – Vampire Weekend – Another rare male voice in the mix. Make a New Dance Up – Hey Ocean! Moves Like Jagger – Maroon 5 – Like One Direction, I can’t believe I have Maroon 5 on this list. Fight Song – Rachel Platten – Christina (on Facebook) was totally right that this would help toward the end of the marathon (even though this came on closer to mile 17, it was still great). Budapest – George Ezra – I love this song so much. Blame it On Me – George Ezra jkjljkkkkkjlkjkljkjkljkkkkkkkkkkkkkkkkkkkkkkkkkkkkkkkkkkkkkkkkkkkk jk jk Most of these next songs were ones I added kinda last minute. Well, I mean they were songs that weren’t in my regular rotation when I was doing my training runs so when I heard them during the marathon, even though they are older songs, they were all fresh to me. Boulevard – Jackson Browne – So glad I added this one. Second Hand News – Fleetwood Mac – Just awesome. Margaret suggested this on my Facebook page. Good choice, Margaret! Welcome to the Working Week – Elvis Costello – I’ve recently started listening to more Elvis Costello and this one was a good tempo for me. Goodbye Stranger – Supertramp – Can you believe it took until song 64 for me to add Supertramp? I love these guys! More Supertramp, please! Crocodile Rock – Elton John – Barb, one of my West Seattle running buddies, suggested this. Good choice that I wouldn’t have thought of myself. Maniac – Michael Sembello – Jessica suggested this on my Facebook page and she was totally right. Don’t know how I missed this one. Hold on Tight – Electric Light Orchestra – More ELO. These guys so rock. Oliver’s Army – Elvis Costello and the Attractions – Another fun Elvis tune that worked well with my running pace. Confident – Demi Lovato – Another suggestion by Christina. Thanks for the idea! Gonna Fly Now – Because I didn’t calculate out the exact times for these tunes and where they might fall during my run, I had to guess. I was thinking that when this came back on, I might be close to the finish line and would need an extra boost. I was right in that I needed the boost but this came on around hour four. I still had another 38 or so minutes to run. Still, it was good to hear again and get pumped up (again). For Tokyo, I’ll move this later in the list so it plays closer to my finish (which I hope will be 4:30). Uma Thurman – Fall Out Boy – This song just makes me smile because it conjures up Uma and her dancing in Pulp Fiction. Bulletproof – La Roux – a relatively new song to my playlist. Right Action – Franz Ferdinand – A little Buddhist twist to the list. Ojai – Joe Lutcher – Don’t know this song? You likely wouldn’t but you must at least give it a listen. Saffar – Kiran Ahluwalia – A little departure from the other songs but I love to run to this. Kiran is an Indian/Canadian singer and this is really beautiful. Spiritus – Lisa Mitchell – I hadn’t heard of this but Kelli thought it would be a good fit. She was right! Five Hours – Deorro – This is some pretty good electronica. Girl U Want – Devo – Another tune I’d probably leave off for Tokyo. Devo just didn’t do it for me. It was somewhere toward the end of this list that I finished the marathon but I couldn’t tell you exactly when. Often when I do my long runs at home, I have to take my earbuds out and just have silence, particularly toward the end of that run (at mile 18 on a 22 mile run, for example). But I needed all the music I could get for the Honolulu Marathon and appreciated the fact that I had all these great tunes lined up. Hopefully you’ll find some workout gems here for yourself. And I’m totally open to new songs myself as I’m always tweaking on my playlist. If you have some suggestions, please share them! Born to Be Wild—Steppenwolf—Get your motor running!!! Born to Run—You’re a Jersey girl!!! Absolutely Born to Run, Ann. And Born to be wild is a great choice, too! This is such a great list! I’m going to have to download some of these. I need a change. Would love to know what’s on your list, Brittney!